Summer is the ideal time for outdoor play with a toddler. I try to take our one-year-old out every day at least for a couple of hours. She enjoys outdoors, as she gets the much-needed space and freedom to walk around and explore, which she doesn’t get indoors. Playgrounds have become almost like our second home. During these early years, children are naturally curious, so I think it’s the best time to create a daily habit of going out and let your child play outside. When the weather is nice, we like to visit local parks, woods, playgrounds. Even when the weather isn’t ideal, which isn’t uncommon in the UK, we get out most days, even if it’s just for a short walk around the neighbourhood. We love spending time outdoors and here are the reasons. It’s amazing, what a bit of fresh air and change of scenery can do to your mood and state of mind. As I said, my little one loves to be outside. Ever since she started to walk, she is constantly on the move. 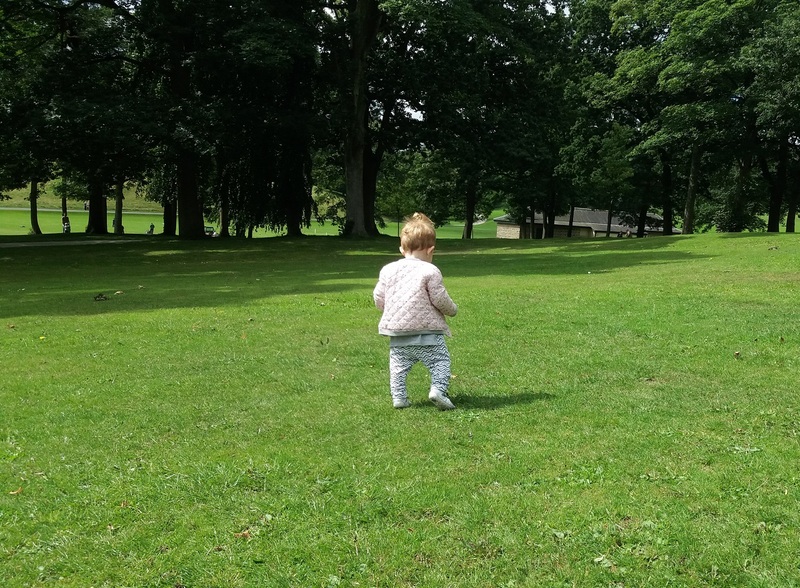 She liked outdoors before but now she seems to be really thriving, as she is no longer strapped to her pram all the time. Honestly, I don’t know where kids get all the energy from. I don’t know about you and your child, but my little one gets bored rather quickly when she is at home. She usually wants to climb on tables, sofa, or kitchen top. Simply put, the higher she can get, the better. Not the best playing environment for her. This can lead to a lot of frustration every time I put her down and won’t let her do as she likes. As soon as she is out, she is happier and more content, which means mama can relax a bit too. But don’t get fooled by the term ‘relax’. I still have to keep a close eye on her. That’s just the way it is with the curious and adventurous toddlers. We don’t have any family around, so it’s mainly mummy and daddy to play with at home. Going out is a great way for the little one to interact with other children. Well, she is still in a stage of discovering and learning about the world around her, not really playing with other kids but she is definitely curious. When we are at playgrounds, she will observe the older kids playing. There were situations, where some older girls came round to play with her which was a great fun for her. Have I mentioned that my little one loves climbing? She can’t really do that at home for obvious reasons; to avoid falls and accidents. 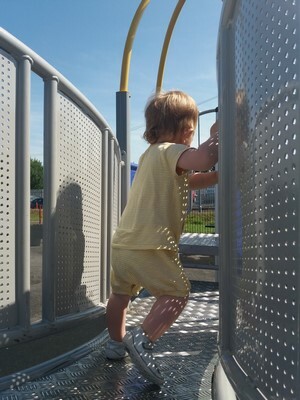 That’s why I like to take her to playgrounds where she can climb on those slide sets and other suitable equipment. Of course, she needs to be supervised all the time but it’s a better option for her to do what she loves. She likes the stairs. Maybe because we don’t have any at home? Every time she sees stairs outside, she goes straight there. Up and down, up and down. Honestly, I think she could spend half a day climbing stairs if I let her. She just never gets bored when outside. There is more variety for play than indoors. You can take your little one to a park, a beach, on a farm, go for a walk to a forest. If you live in Yorkshire or coming to visit, check out my post about some fun things to do in Yorkshire with kids. The possibilities for outdoor play are endless and toddlers are more than willing to explore them all. Everything is a novelty for the little one. She seems to be finding new activities and ways of entertainment every time she is out and about. Last time I watched her picking up daisies. She loves to play with the grass and pick up different flowers, she is fascinated by animals. Exploring everything with her hands and mouth and getting messy are some of her favourite activities. I grew up in a small town with lots of greenery, forests, mountains, wildlife, all at my doorstep. Now, I’m not saying I’m the most outdoorsy person as a result, but I do care about our environment. I love life in a city but I also want the little one to develop a love for nature, be aware of her environment and learn to protect it, not destroy it. Let’s face it. In this day and age, it’s hard to keep all the technology away from kids. As much as I want to delay introducing tablets, video games and technology in general, I can already see how inquisitive my little one is about my smart phone. She slides her little fingers over the screen just like mama does, to see all the bright pictures and colors. I try to limit the amount of time our one-year-old spend watching TV, but when I’m at home and want to get some work done, TV sometimes does the best job at entertaining her for a bit. That’s why it’s important for me to take her out every day. To keep her active and avoid the overdependance on technology. Do you enjoy outdoors with your kids? What are your favourite activities? 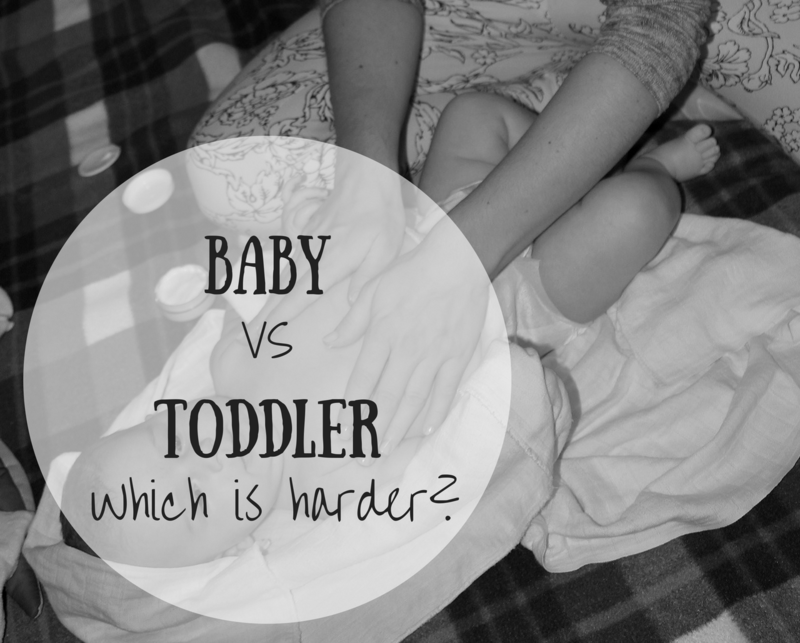 Baby Vs Toddler – Is There Such A Thing As The Most Challenging Age?